Old Navy employees volunteered at an event at the Delta location, with the Hon. Carla Qualtrough, Minister of Public Services and Procurement, in attendance. 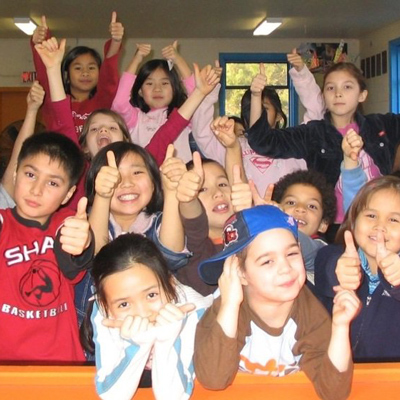 At the Kinmount service location, kids took part in a variety of activities, including making friendship bracelets, participating in a foosball tournament, creating junkology crafts, having a paper airplane contest, competing in a jump rope challenge, participating in a slime lab, and playing basketball games in the gym. The Club hosted a Club awareness and donor appreciation event called Connect at the Club. 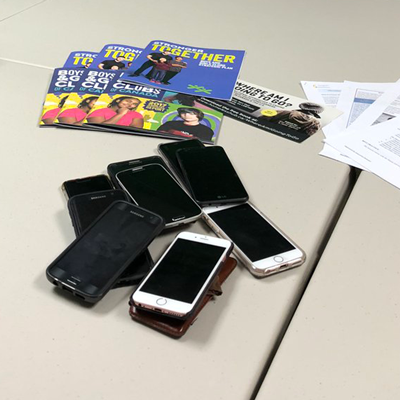 At the Club’s main location, staff and youth put their phones away to take part in their after-school programming. At the Downtown Youth Centre, youth had a BBQ, played games, and took part in art programming. They also created a “real” social media wall, where they pinned pictures, thoughts, and ideas throughout the day. The Club hosted a variety of activities for members, including a tumbling class, basketball, and outdoor field games. Local politicians and community partners were invited to a “choose your own adventure” event, including crafts, games, reading, and outdoor games and activities. 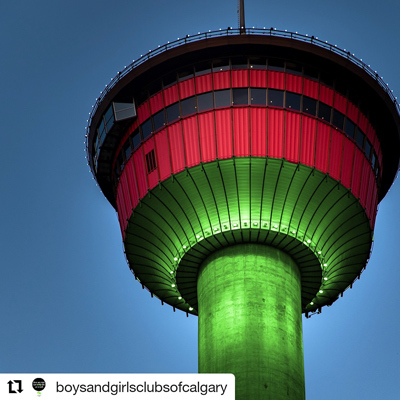 The Calgary Tower was also lit up in Boys and Girls Club green! Club members participated in group games before going on a Friendship Walk with the Rocky Native Friendship Centre. They also attended a BBQ hosted by the Friendship Centre. Staff and youth disconnected from all devices for an hour and played board games, baked banana bread, played table Foosball, and had some down time. The Club unplugged at all 10 service sites across the city for a People Powered Hour, where Club leaders focused on spending time with the kids, playing card games, and hosting a board game tournament. They also created a fitness challenge for kids to participate in and around the Club. The Club hosted a “Popcorn Picnic” for families during pick-up time, and also distributed an “Unplug to Connect” package that included a poster of local parks and trails, a bubble wand, sunblock, and information about the Unplug to Connect initiative. 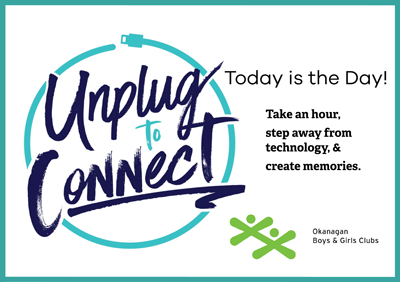 For the week of May 28 – June 1, the Club asked kids to participate in an Unplug-A-Thon. The child with the most unplugged time received a small prize at the end of the week. 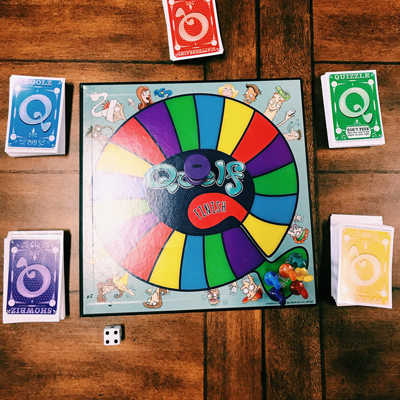 On the evening of June 1, kids, youth, and families were invited to Round Table, the local board game café, to play games together. 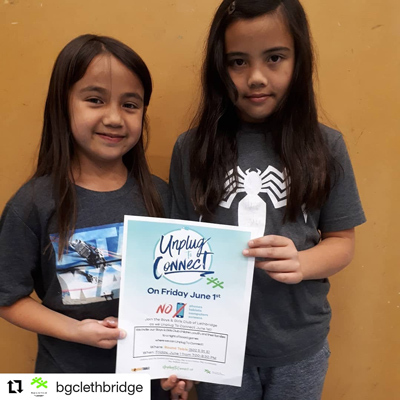 On the afternoon of Friday June 1st, Boys & Girls Club of St. Paul and District took children into the community to hand out freezies and snacks, connect with the community, and encourage them to unplug and connect with the people around them. 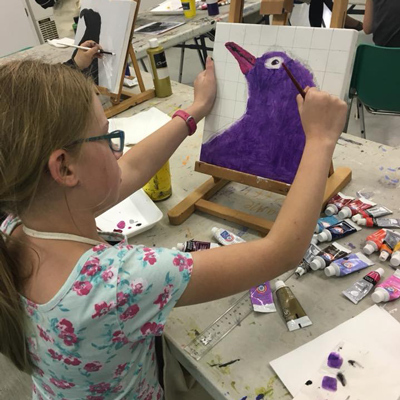 The Club held a free painting session to connect through art, with local artist Russell Thomas. They asked Club members to pledge to unplug from tech for at least three hours. The Club had various events planned throughout the day to celebrate Unplug to Connect. Leaders at the White Buffalo Youth Lodge Club worked together to create a grid mural. The Confederation Park Club hosted a community baseball game in the park. Staff at the Club had an unplugged lunch together, before playing team building games and spending some time outside. The preschool group took part in a fun obstacle course with their parents. The Core Neighbourhood Youth Club had a cellphone-free yoga class, and Evergreen Before & After hosted a family & friends soccer game in the park. Boys and Girls Clubs of Winnipeg Inc.
Staff collectively participated in a street clean-up, beautifying the area surrounding their office. After the clean-up, they got together for a staff lunch.